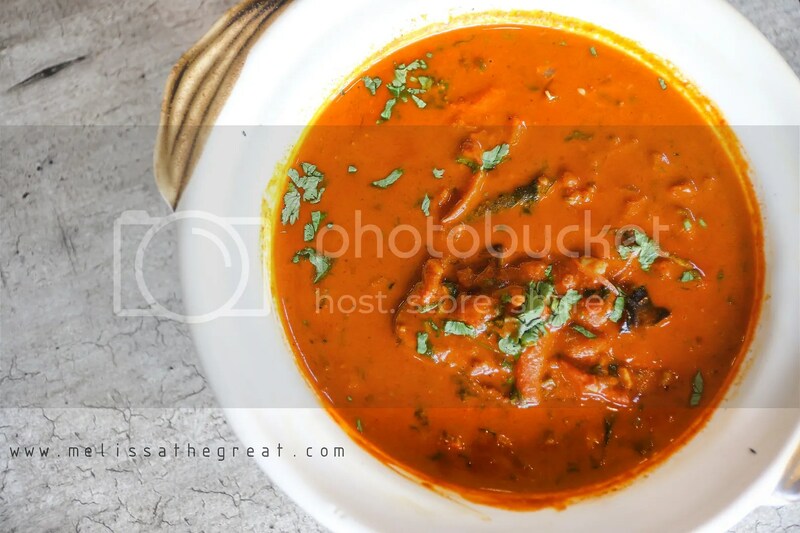 What are the dishes that come across your mind when I mentioned about Indian Cuisine. 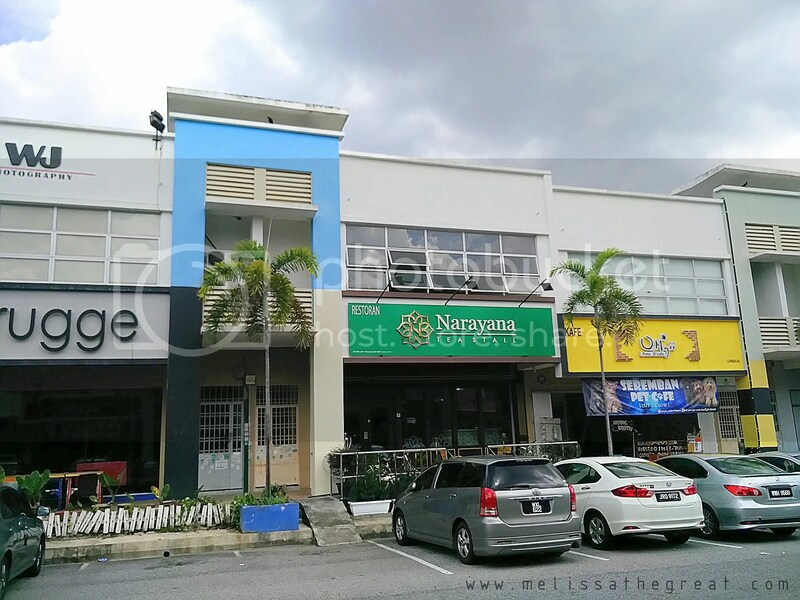 “Banana Leaf Rice, Roti Canai, Indian Rojak & Curries”. 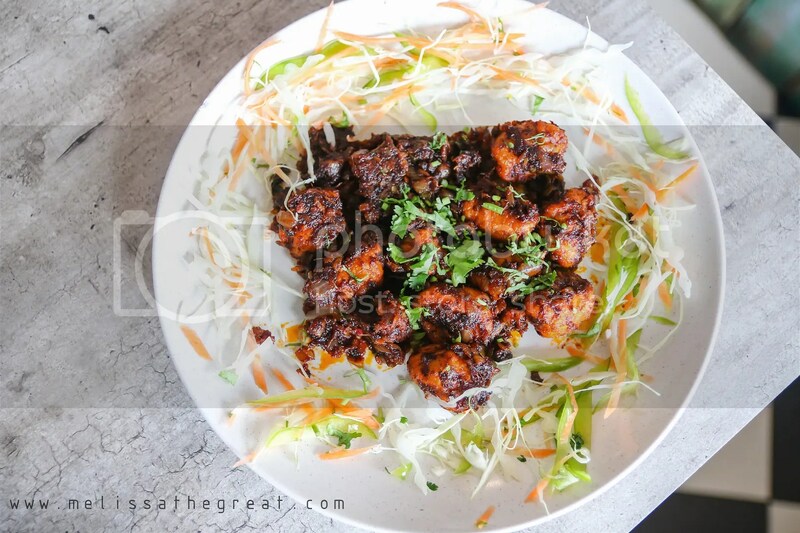 If you’ve visited an Indian Restaurant before, you will be aware that the list does not stop there. 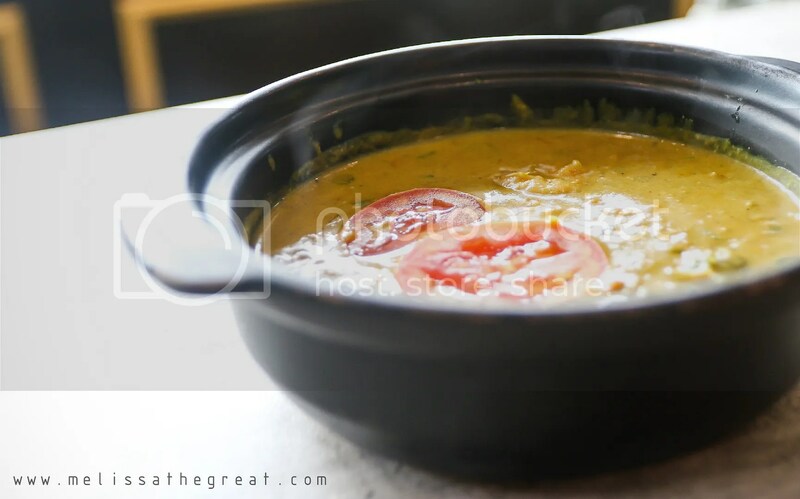 Indian cuisine can be divided into two mainstreams, North Indian and South Indian cuisine. 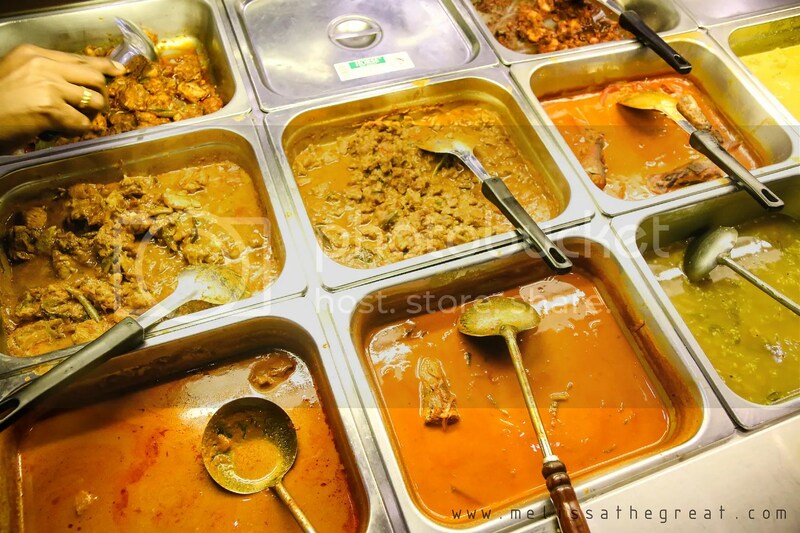 If you are in the vicinity of Seremban 2, you have to make a visit to Narayana Tea Stall serving South Indian Food. 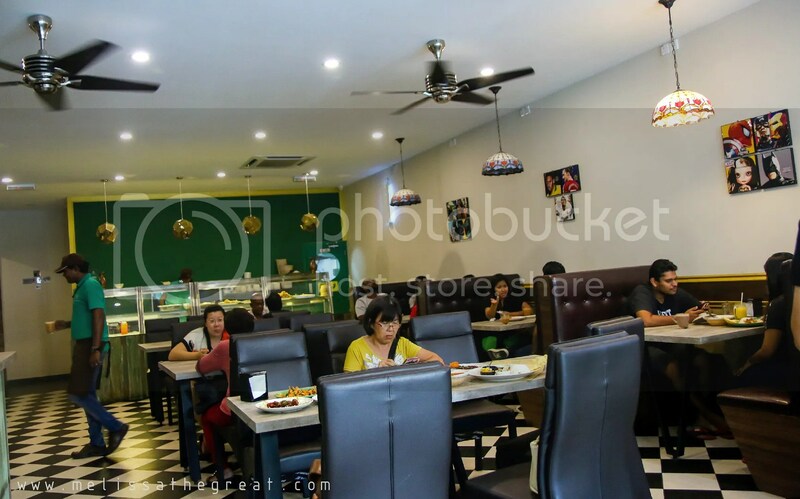 Located at Uptown Avenue, Narayana Tea Stall start operating since September 2016 to serve the Malaysians a hearty Indian fare. 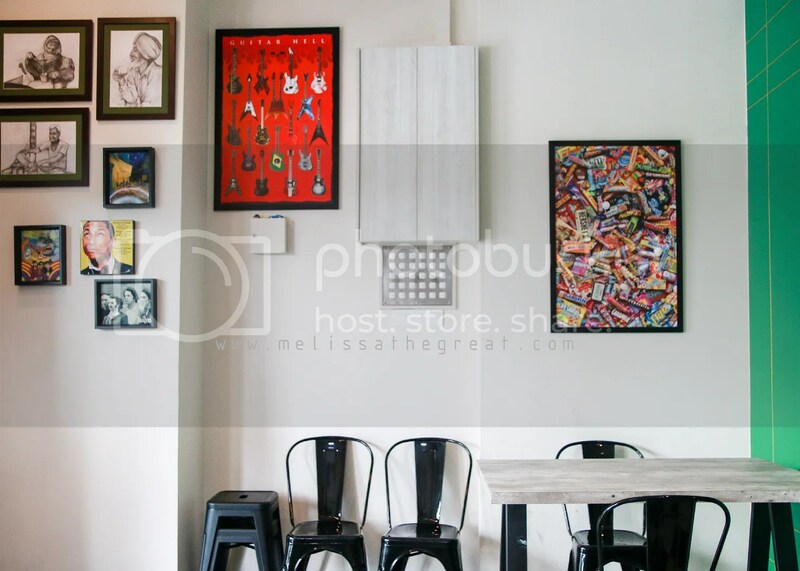 A retro concept restaurant with warm lighting, wall canvas prints, black leather seats, black and white floor tiles, creates a vibrant atmosphere. 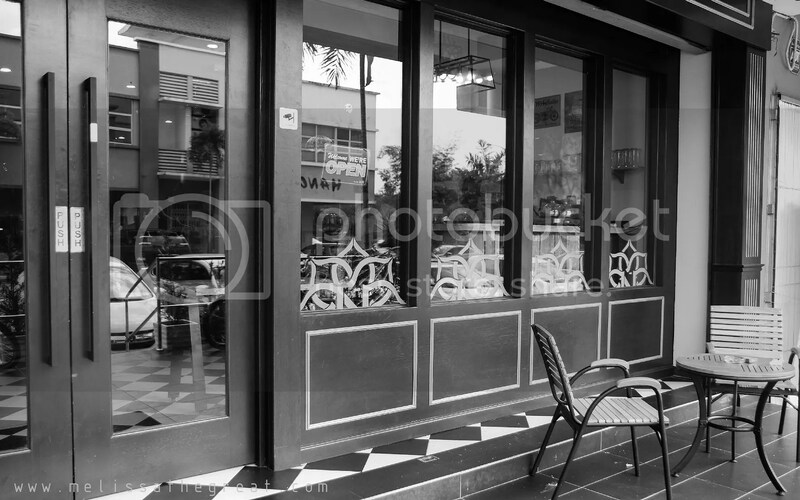 A nice place to gather family & friends. 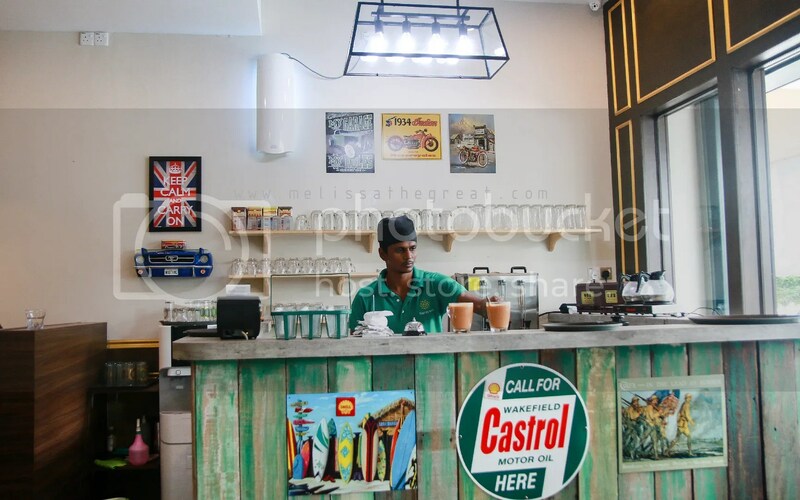 Here, at the drinks counter, we watches Bakhi – the staff prepares drinks and his pulling (tarik) process to make a glass of nice teh tarik. 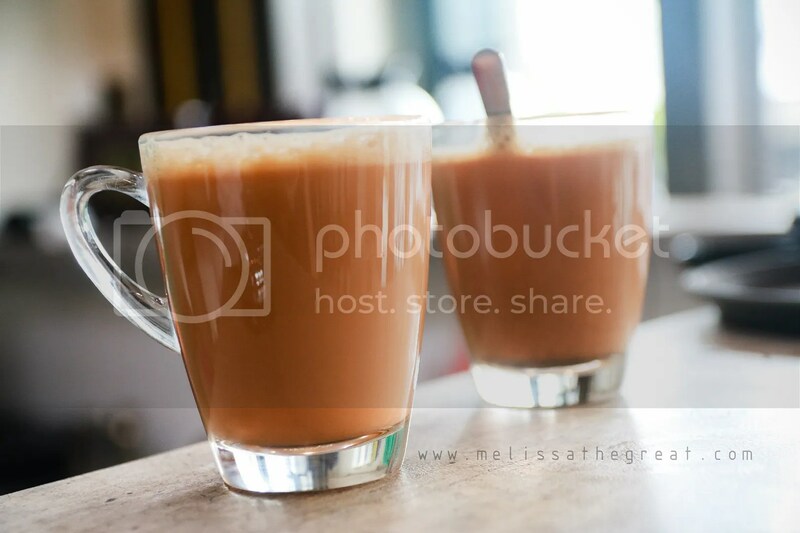 Their Tea or commonly known as Teh by the locals is the best seller. 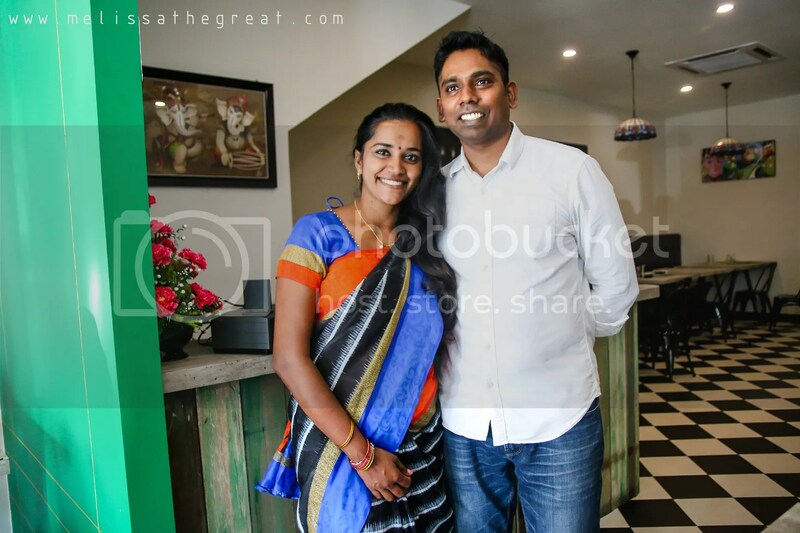 Both husband and wife, the owner of Narayana Tea Stall. 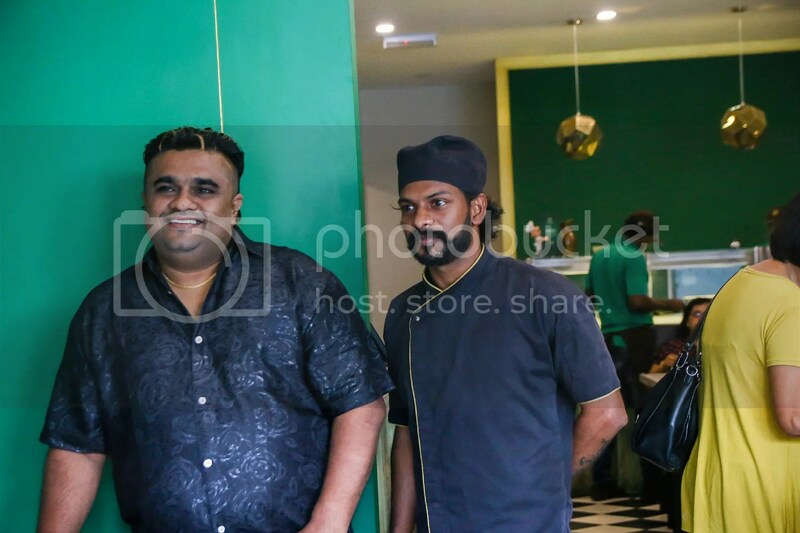 …..together with their buddy Jasonraj and the experienced Chef Kicha. They are the important people to make great of this restaurant. When asked, what is your best dish? “There’s no one ‘best dish’, because all our dishes are good”, laughed Sobana Krishnan – the lady boss who’s looking poise in her beautiful saree. She also assured that food quality is their main concern here. 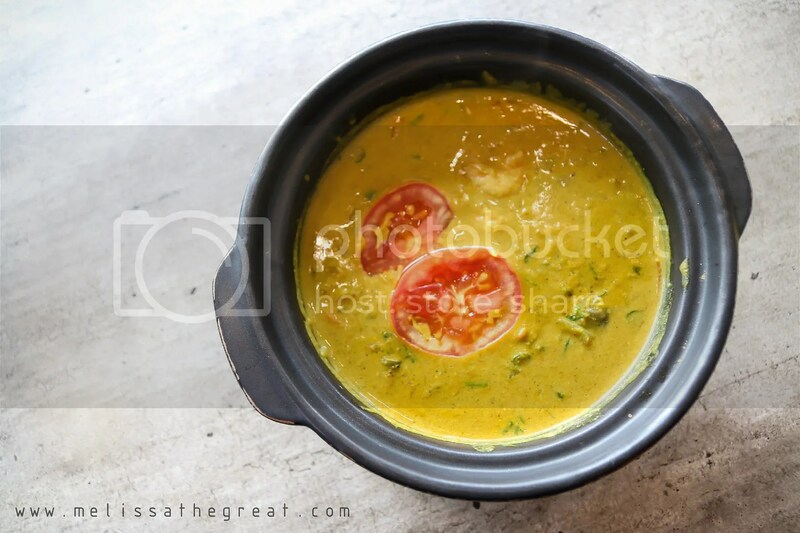 You can’t go without curry in an Indian cuisine. Spices are like the heart of Indian cooking. Spices are freshly ground. Spices that are commonly used are cumin, coriander, turmeric, fennel, mustard, clove star anise, cinnamon. 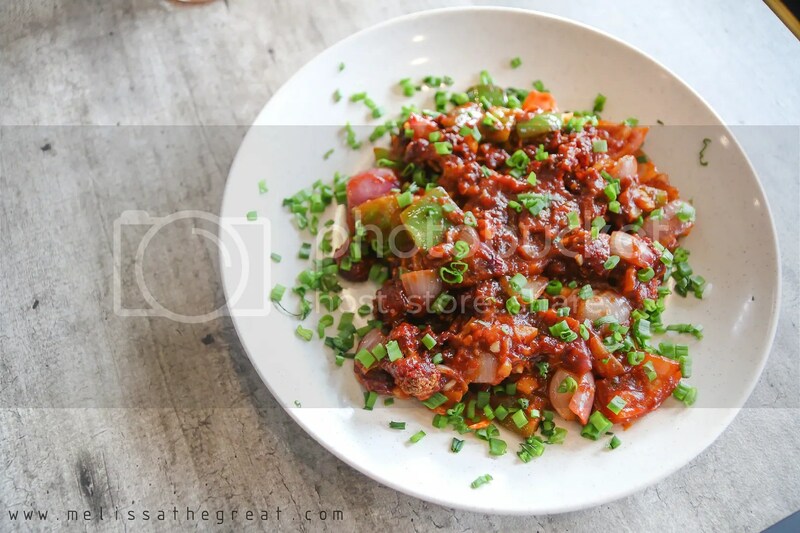 Both fresh and dried chili are used in varying degrees for different curries. Paneer is a homemade Indian cheese. 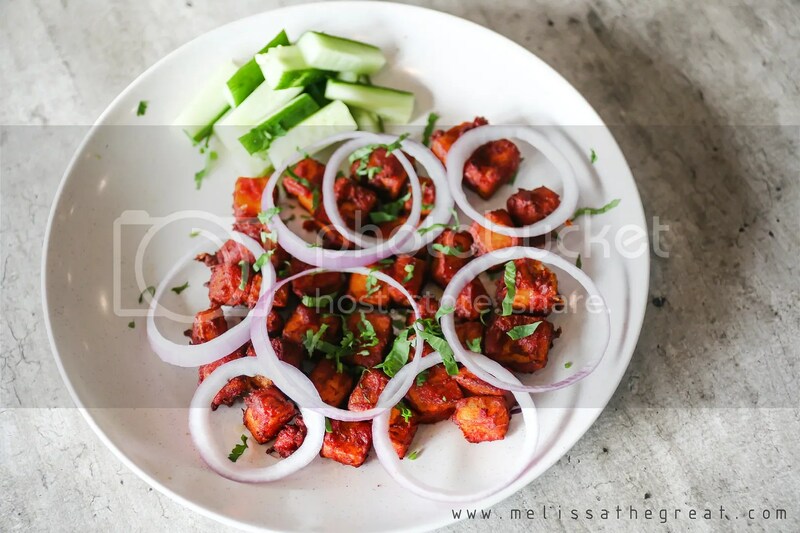 Its a delicious snack prepared by deep-frying spicy paste coated paneer cubes. 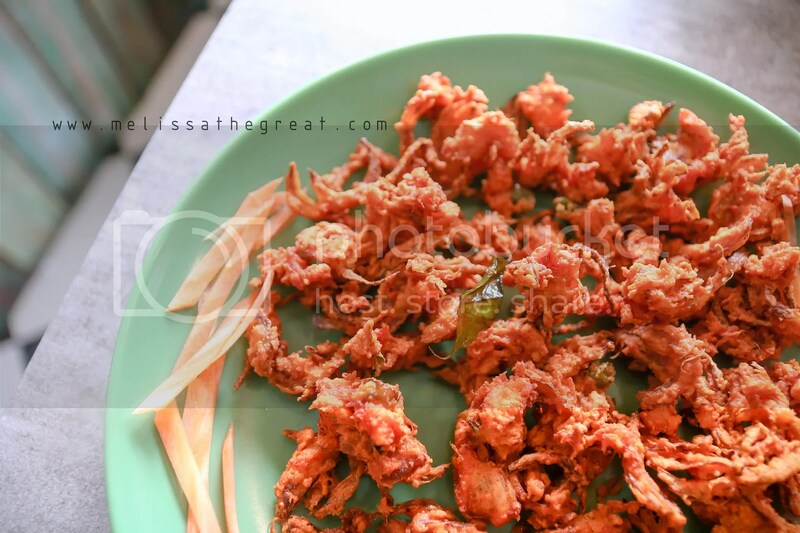 Onion pakoda are deep fried snack that are made with chickpea flour, salt, light spices and onion (the main ingredient). It was light and crunchy. 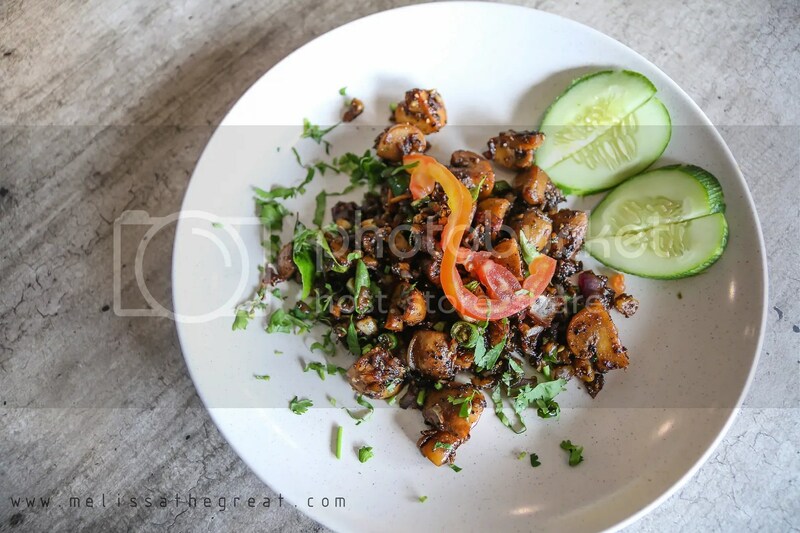 This can be an addictive snack/starter while waiting for your main food to arrive. 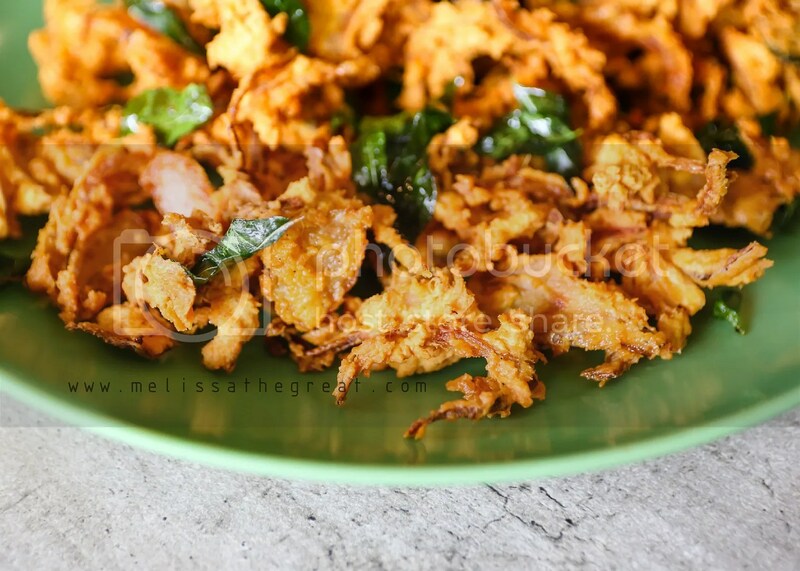 Similar recipe used as onion pakoda but the main ingredients is replaced with chicken slices. 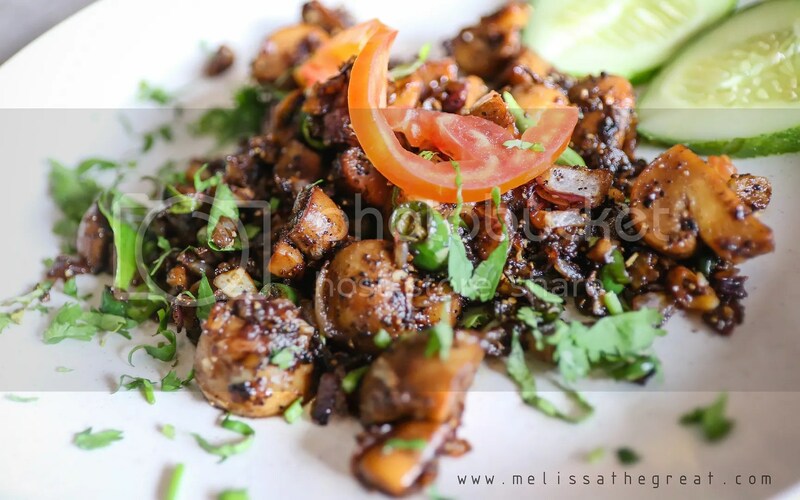 A simple stir fry button mushrooms with black pepper. This is a vegetarian dish. Chicken is made of soy base. 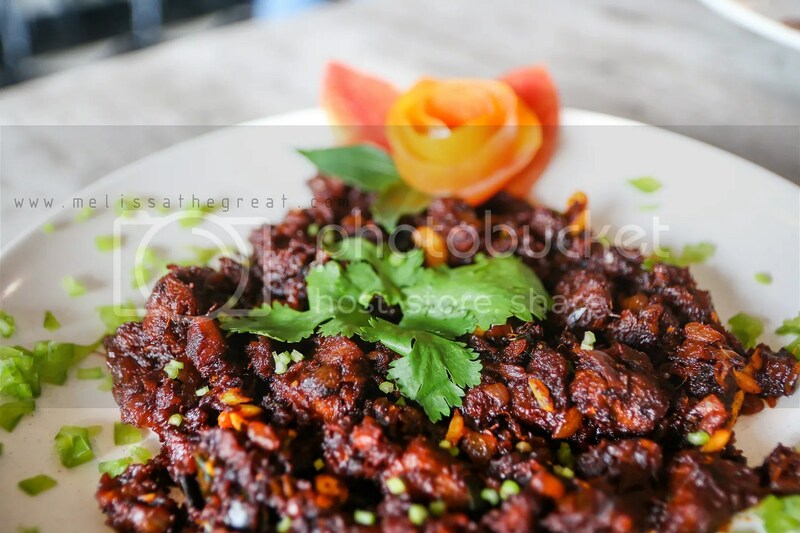 I usually do not like mutton, because of it has a very strong and distinctive flavor. However at Narayana Tea Stall, it did not stop me from trying. The ‘strong’ aftertaste was pretty mild and acceptable for me. Gobi stands for cauliflower. 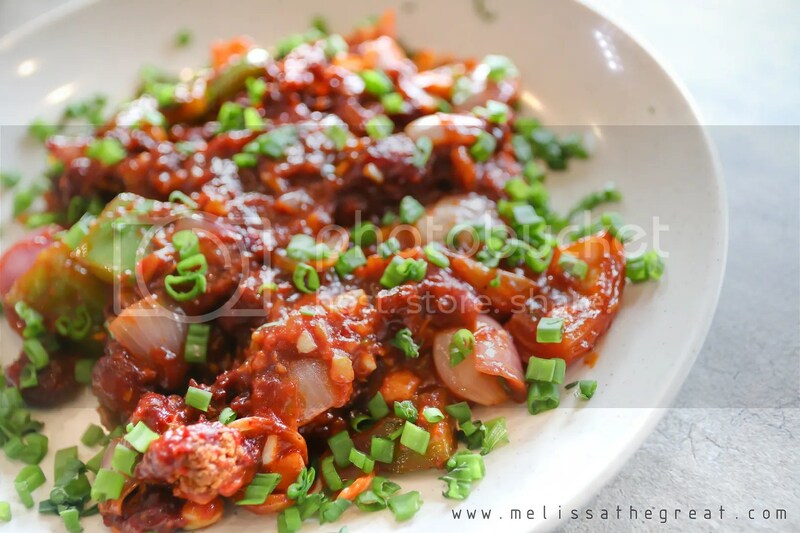 This is a dish of cauliflower cooked with chili. 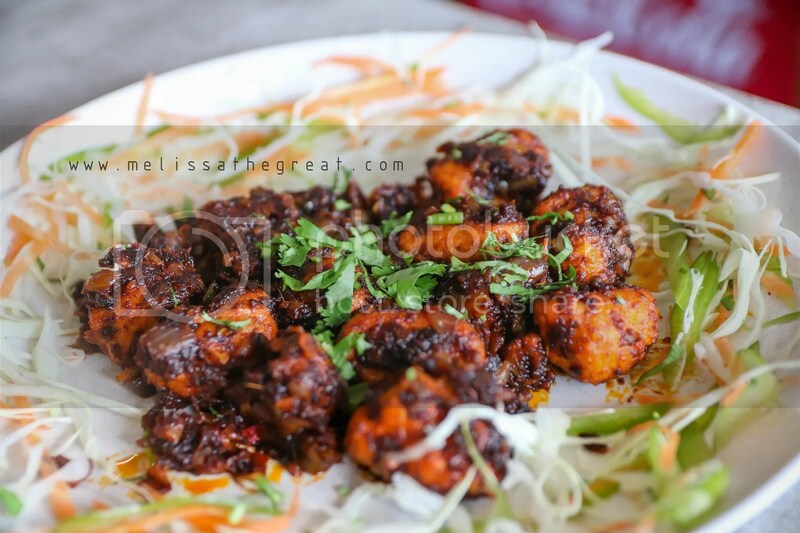 Chilli Gobi is a tasty, lip-smacking dish which is loved by both vegetarian and non-vegetarian. 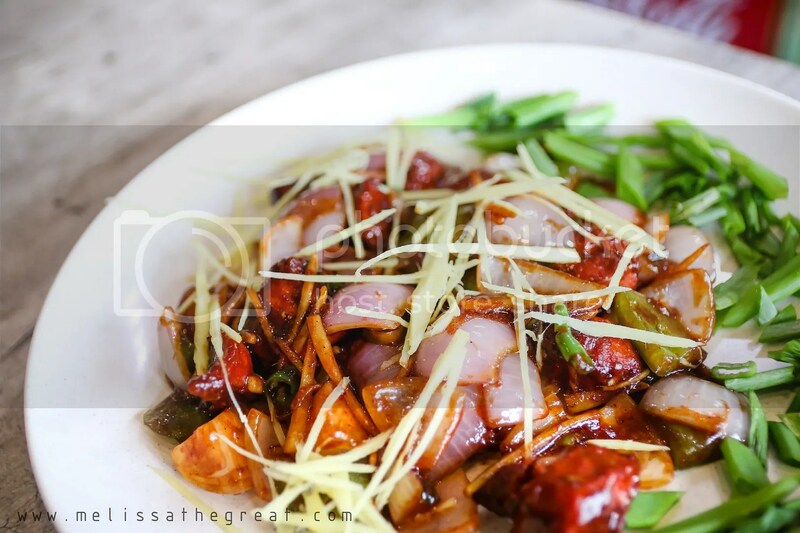 Ginger Chicken, was cooked with onions, capsicums, julienne ginger. I love the curry. The spices did not overpower the taste of curry. Best to be eaten with rice. Few slabs of vege fish which look just like the ikan tenggiri. 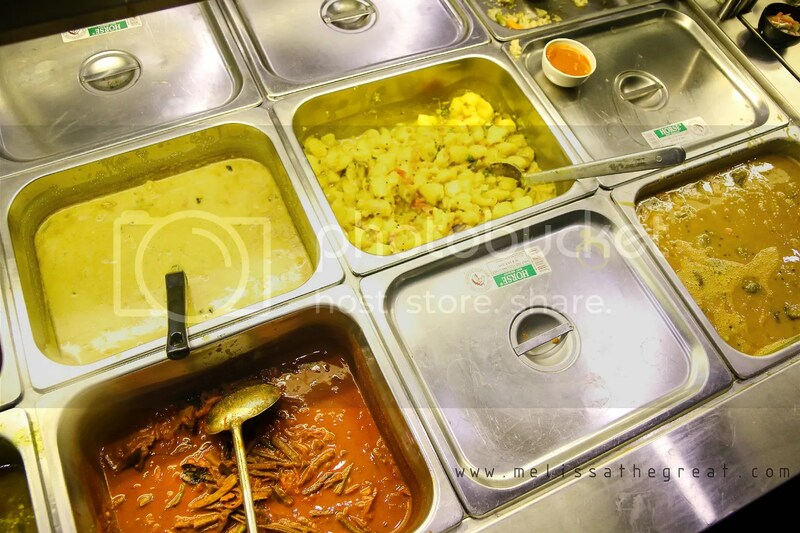 All dishes are freshly cook. Its gravy is slightly creamier compared to the curry. Best eaten with rice. 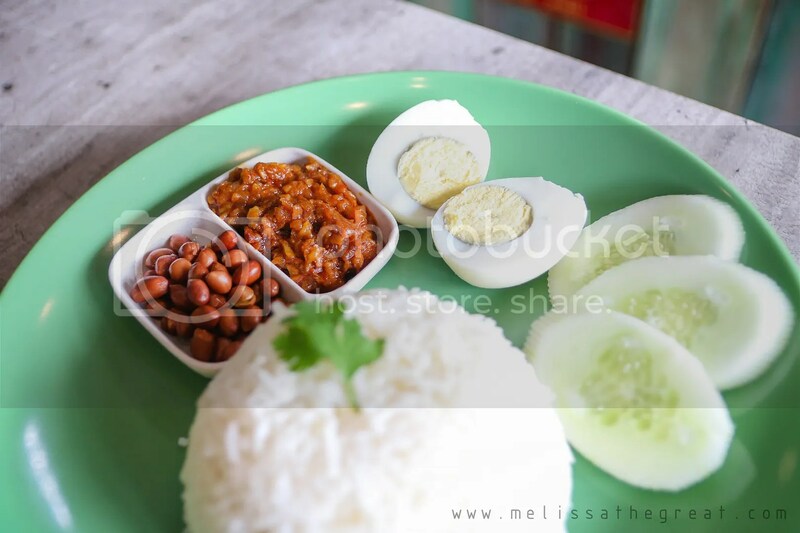 Nasi Lemak is one of the local favorite’s dish. 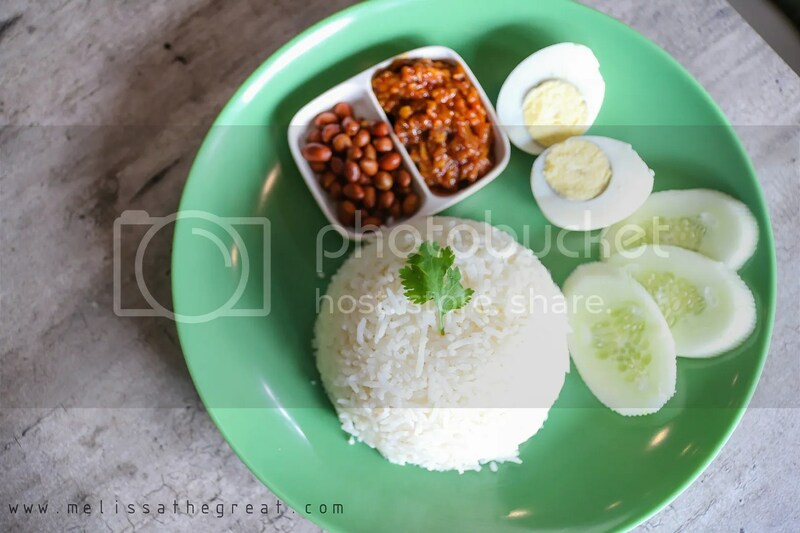 Fluffy coconut rice served with condiments like egg, cucumber, peanuts and sambal (the most important sides). 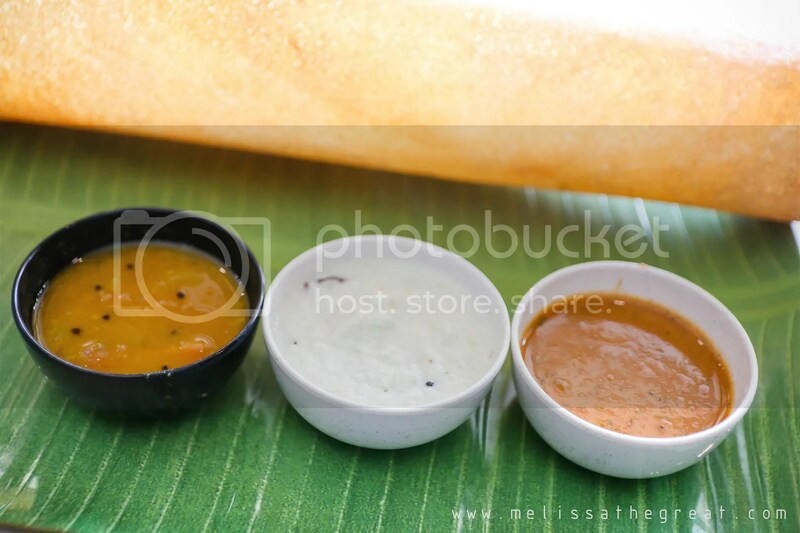 ……serves with rice, 3 type of vege dishes, vege curry,morru, rassam, papadam. The varieties of side dishes were good. Furthermore this look so neat and presentable. 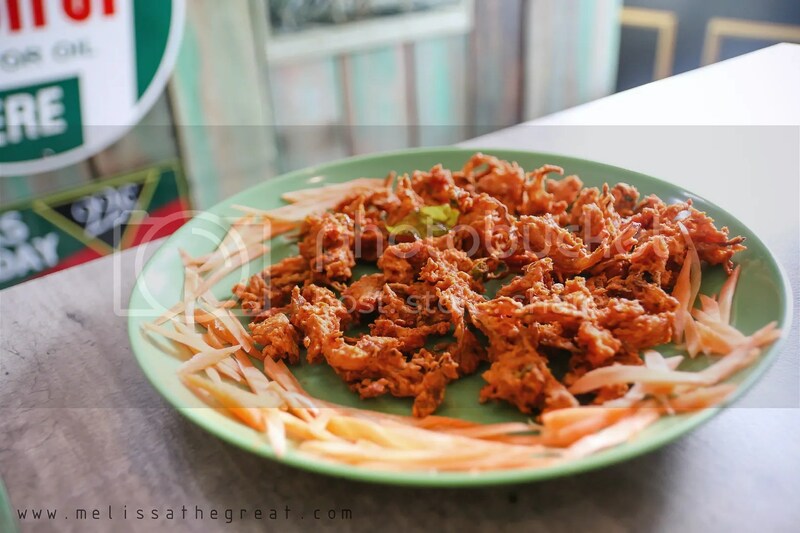 If you need your protein, then you may add on choices of meat (chicken, mutton) or seafood. 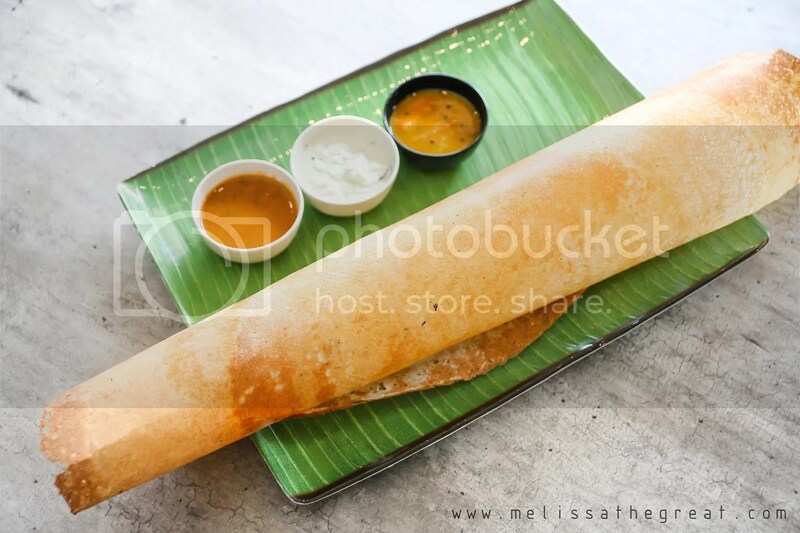 Dhosa Masala and paper dhosa uses the same batter. 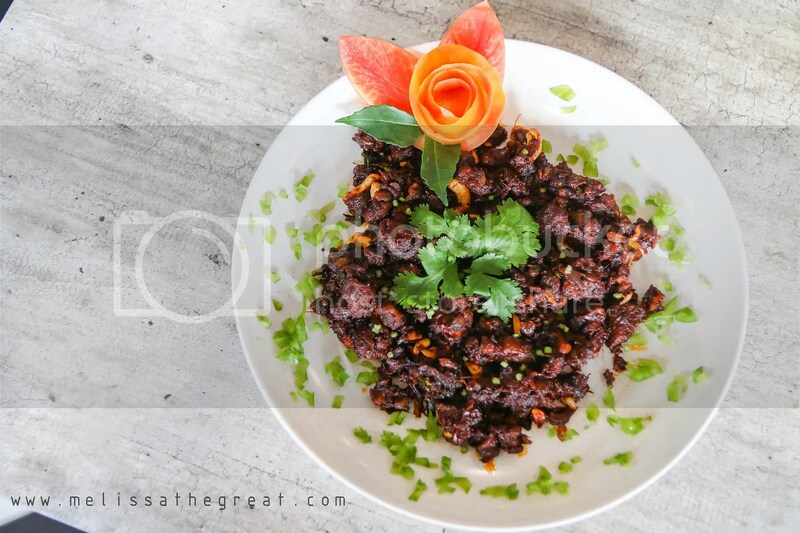 It is made in the usual way by soaking rice and lentils overnight in water and then grinding it to a batter. 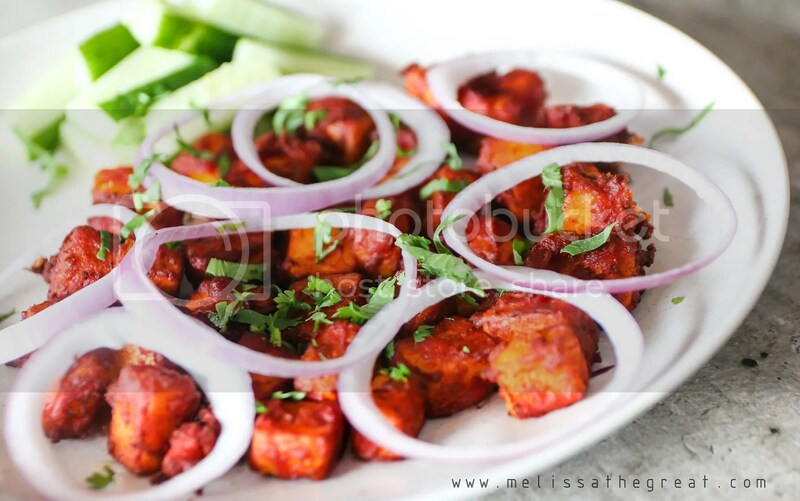 However dhosa masala is stuffed with potatoes. Dhosa Rava, is different from the above dhosa in terms on the flour. 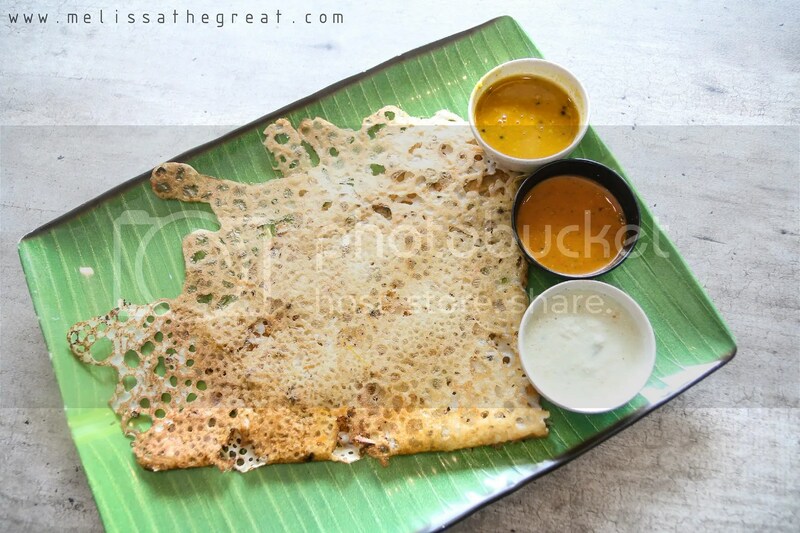 Dhosa Rava is made from Sooji rava flour. 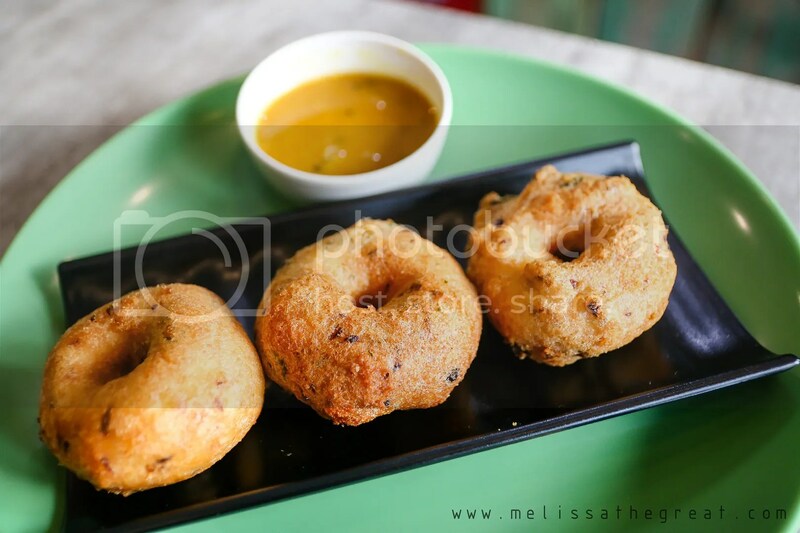 Vada, which look alike doughnut is a savory snack from India. 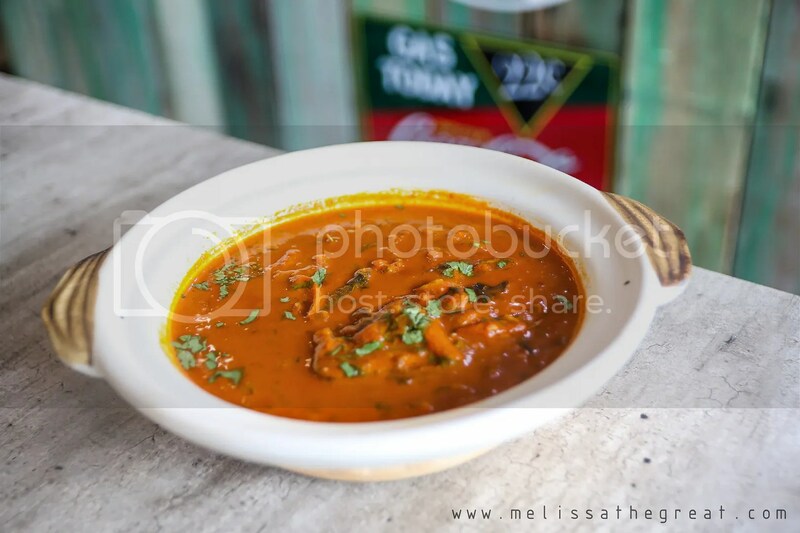 It is served with sambar (dhal) for dipping. 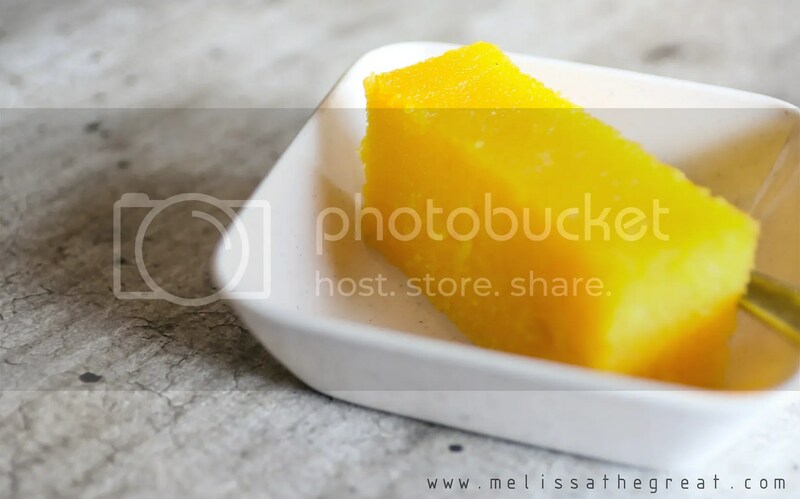 Complete your meal with this Kesari for a sweet ending. 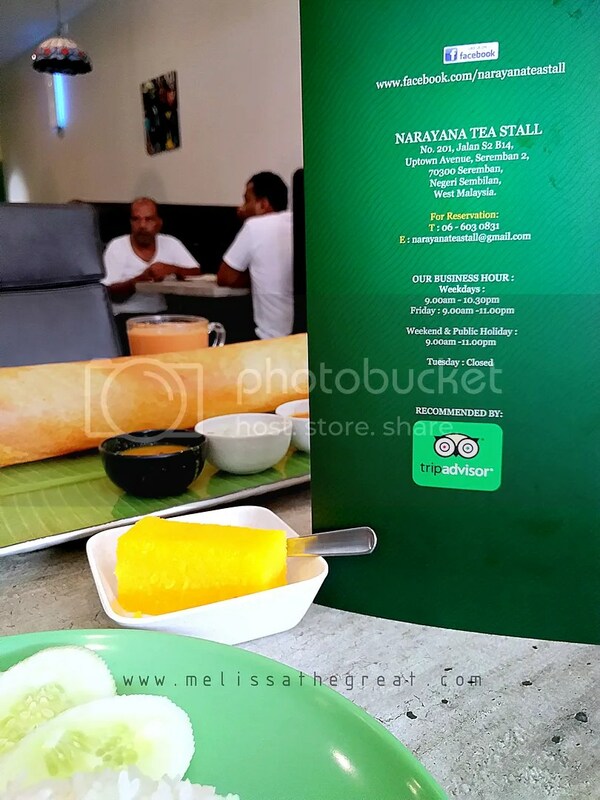 Narayana Tea Stall also featured at Tripadvisor. 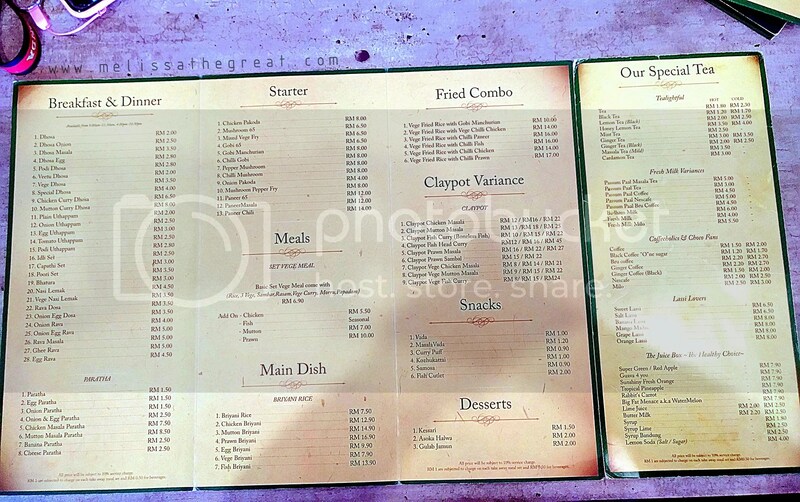 In case you are worry about your wallet, here I attached the menu showing that you can dine in a classy restaurant with a pocket friendly price. Narayana Tea Stall couldn’t be better without a good teamwork! Would love to come back to try out their Nasi Briyani which was sold out that day. The Nasi Briyani is available daily. 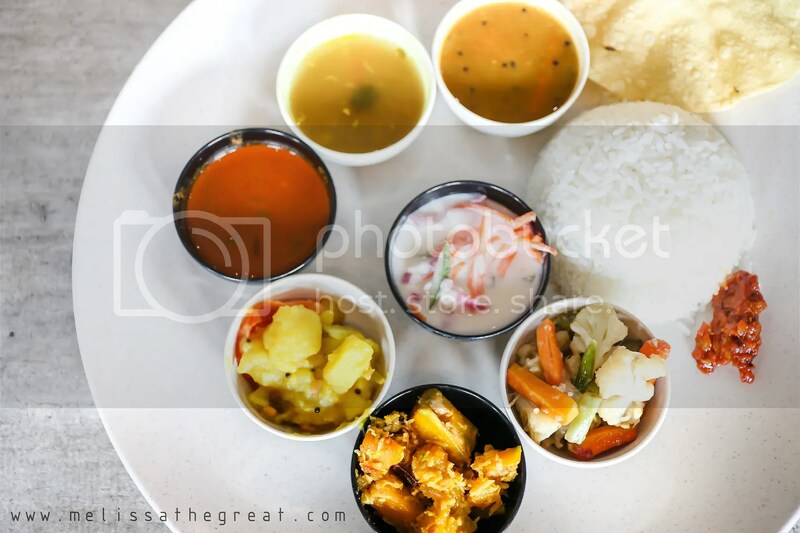 We have North Indian here…and a few Malaysian Indians, dunno whether their chefs/cooks are from the North or South – probably South, the food is spicier than the North. As long as it’s Indian, I love it! Slurpssss!!!! 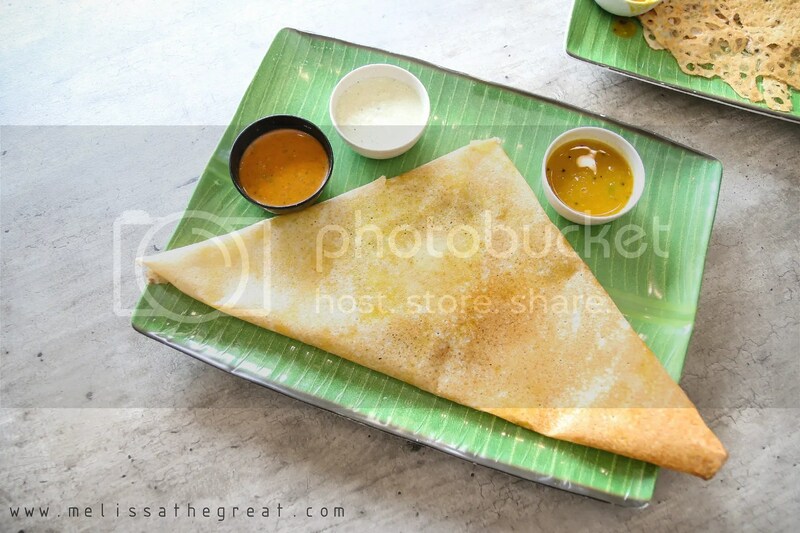 For me, Indian food = roti canai , haha! 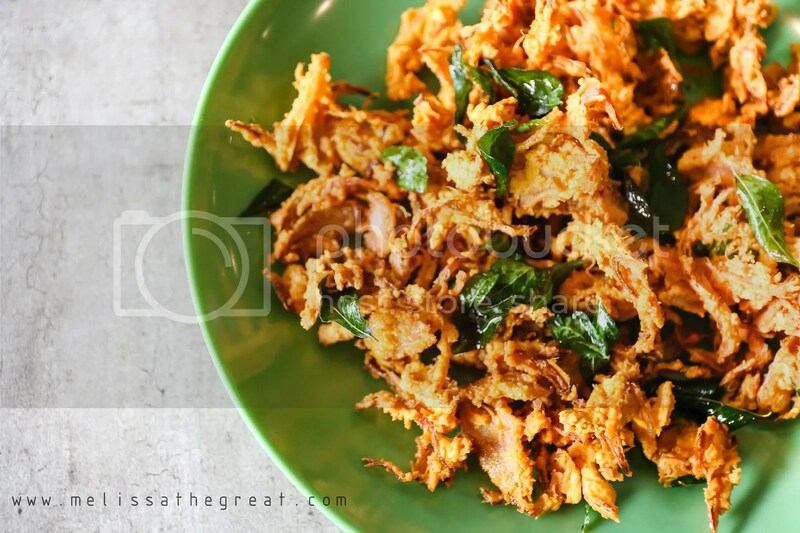 choiyen – Ya…a wider range of Indian food from what we normally/used to eat. I love banana leaf! None here. We have a very nice place here, but North Indian. 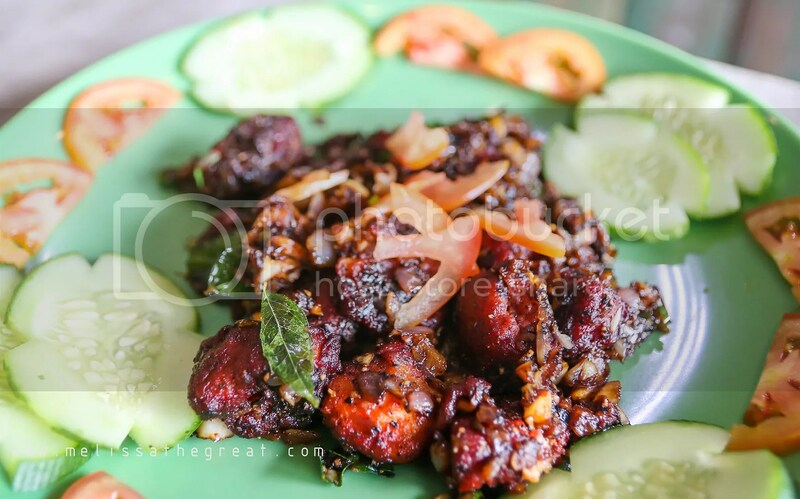 Quite a few mamak Indian places, coffee shops kind of places, maybe they’re South Indian, the food can be pretty good too. I do enjoy Indian food. 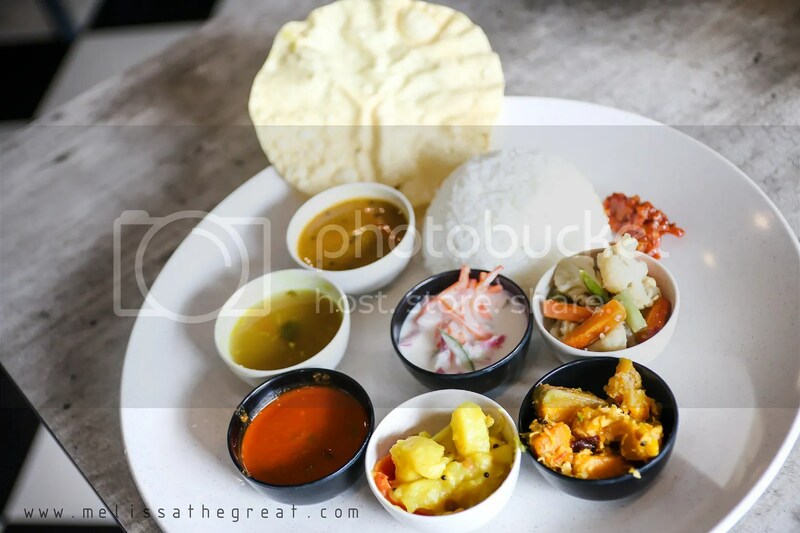 STP – Same here…I enjoyed having Indian food too.